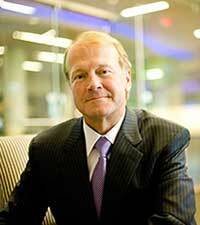 No stranger to change, Cisco CEO John Chambers has been through market transitions before. But the rapid shift to software-defined networking and cloud is a transition that is in direct contrast to Cisco's hardware business. As Cisco plans to go to market with cloud services through its new Intercloud strategy, there is another question weighing heavily on partners' minds. Chambers, who’s sat at the helm of Cisco for nearly two decades, has said he plans to retire anytime between now and 2016. In an interview with CRN editors last month, Chambers detailed Cisco's game plan for capitalizing on the rapidly shifting IT landscape and why he believes Cisco will be a leader in software-defined networking and cloud — both during and after his tenure. Cisco's Big Challenge: Will Chambers Stay To See It Through? Cisco CEO John Chambers never underestimates a challenge. But as the pace of change accelerates, the question on everyone's mind is who will be holding the reins in the future. Cisco is a hardware company that is facing a software challenge as the move toward a software-defined network strikes at the heart of its business model. The rise of cloud and software-defined networking (SDN) has Cisco trying to change the perception that it's still—and perhaps always will be—a hardware manufacturer at heart. Jim McHugh, vice president of UCS Product Marketing, sat down with CRN to talk about UCS developments at Cisco. McHugh also discussed the ongoing competition between Cisco and HP.